The Matching Game is a mini-game available at the Traveling Carnival. 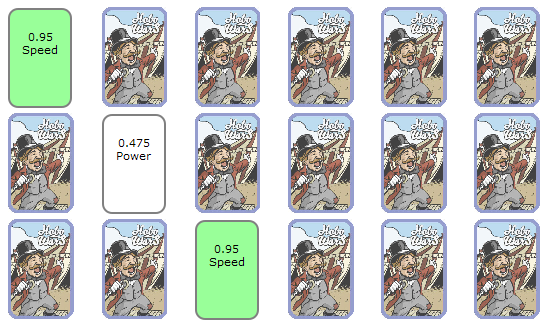 The game mechanics are simple, just match together a card pair to receive their prize. But beware! 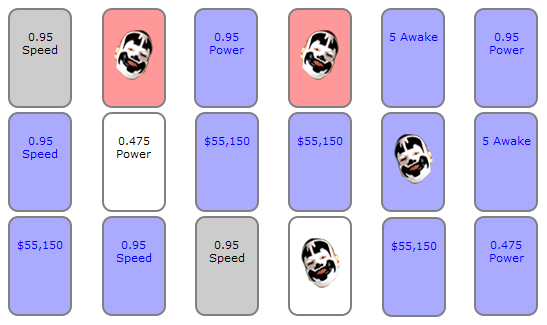 If you match a pair of Juggalo cards, it's game over! 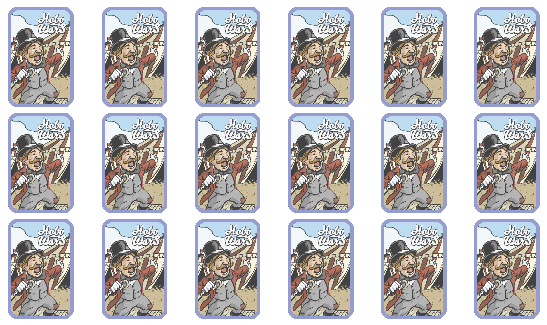 The game starts with 18 cards, all flipped upside-down. It costs 1T to flip over a card. When you flip over a card, the prize listed on its other side is revealed. The goal is to flip over and match together a pair of cards. When you make a match, the cards turn green and you receive the prize listed on them. However, you should avoid matching together the two pairs of Juggalo cards. The two pairs are the pair and the pair. If you match together either pair of Juggalo cards, your matching game ends. 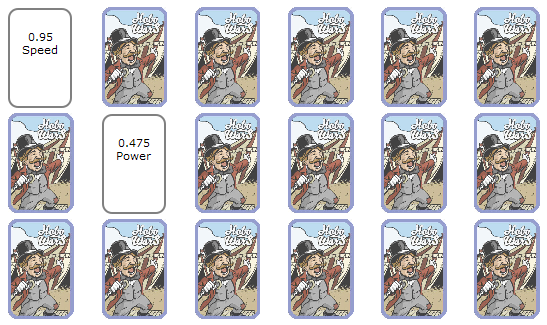 All of the remaining cards are then flipped over to reveal their prizes. They are colored blue to show that they weren't flipped over. 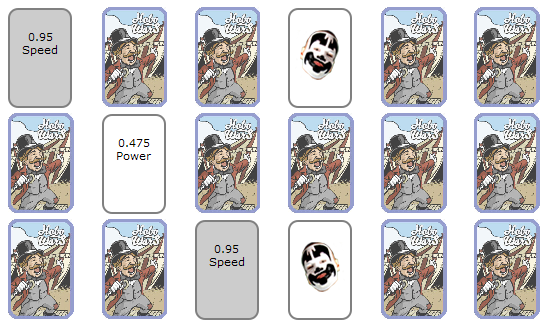 If you manage to match together all of the cards except the two pairs of Juggalo cards, then all of the prizes you receive from that matching game are doubled! This page was last modified on 27 August 2014, at 09:38.